I love to make printables! Some of them make it to the blog, and some I just create for my own personal use. I usually make them in PicMonkey or Publisher, but each of them has its limits. 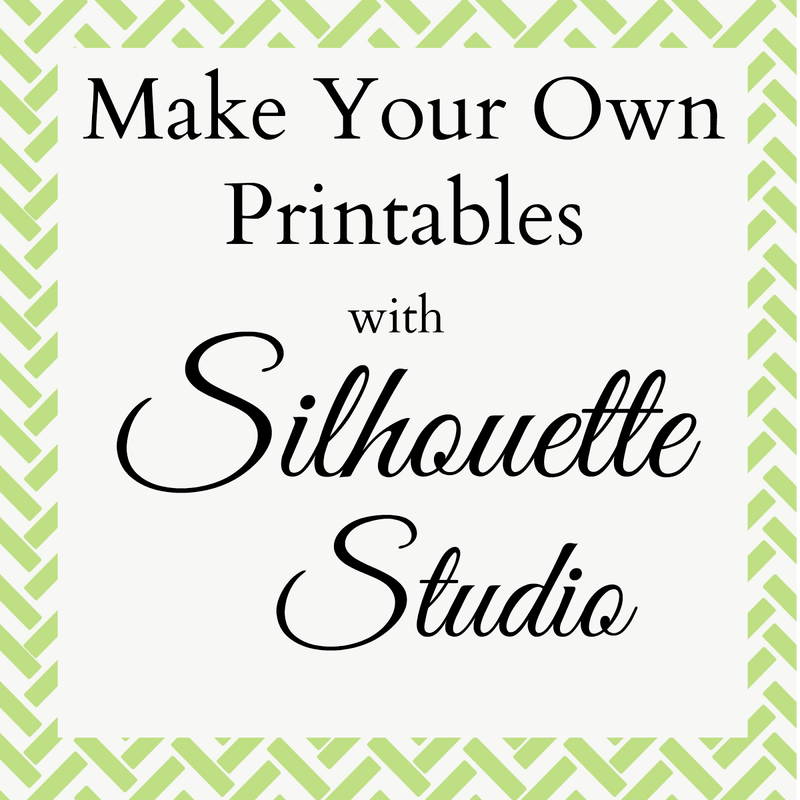 A few months ago, a friend tipped me off that you can create your own printables using Silhouette Studio! This is huge- because not only do I have lots of cute shapes I've purchased, but I can use any font on my computer, and I can play with those fonts to fit and fill the space as necessary! If you haveStudio, and you like to make printable quotes, invitations, or anything, a few quick steps will have you creating your own in no time flat! 1. Make sure you have downloaded the latest version of the software. I have the Designer Edition, so my screen may look a little different, but you can do all the same things in the regular edition. 2. Download a PDF printer to your computer. I use CutePDF, though there are several out there. 3. Start creating! 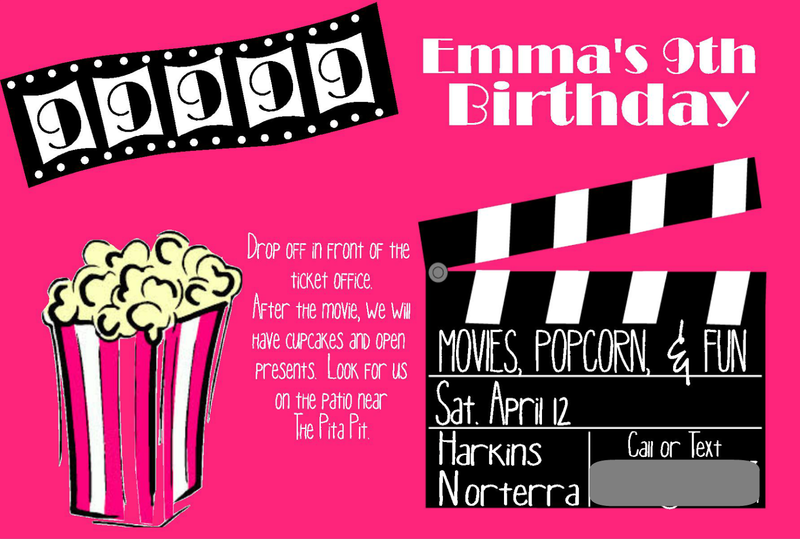 I'll show you how I made these cute invitations for my daughter's birthday party. -- Open a new document. 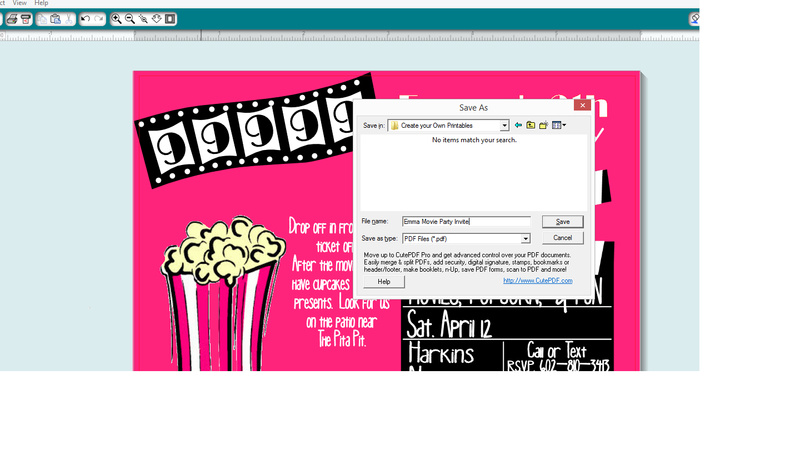 -- Resize your page to whatever you'll be creating. I generally make my printables 8x10 so people can print them up to that size. It makes great quality for smaller prints. I put mine 10x8 so it is in "landscape" mode. 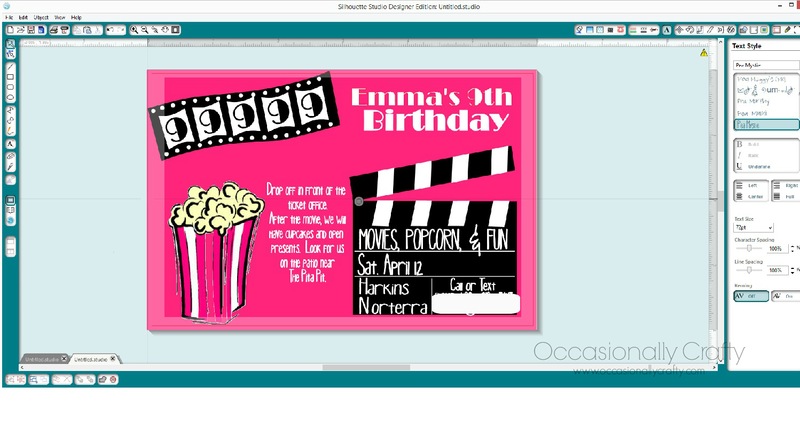 -- Add a rectangle for your background using the rectangle shape tool. Then, using the fill tool, fill that rectangle with your desired background color. -- Use the text tool to add text as desired. --Select your text and use the fill tool to add your desired color to the text. --This last step is really important. Silhouette Studio is for cutting files, but we don't want to do that for a printable. 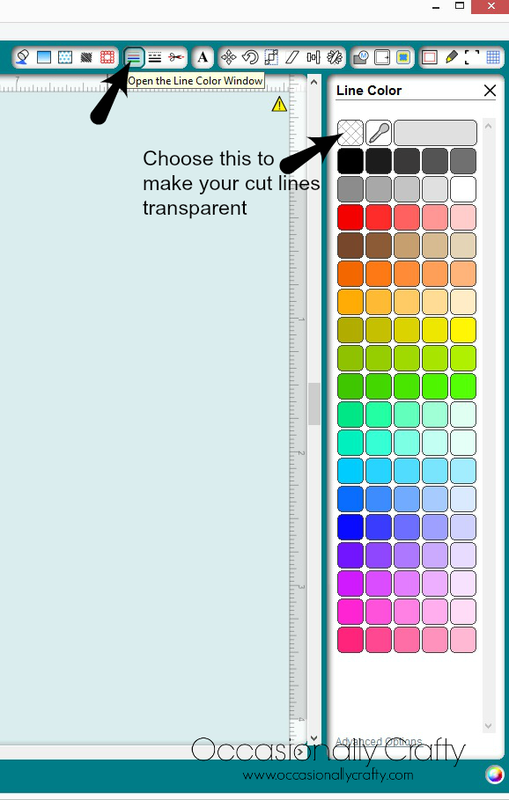 So, make sure you select the cut lines menu, then choose transparent. Now they won't show up when you print! 4. Once your document looks the way you want it, you're going to send it to that PDF printer you downloaded. Go to File-->Print, then choose the PDF printer. 5. It will ask you to save it somewhere on your computer. Rename the file and save it somewhere you'll be able to find it. 6. Once it saves, navigate to that file location, and you should see a PDF file waiting for you! From there, you can open it and print it on a home computer, or you can use a pdf converter program to change to to a .jpg for printing at a photo lab. The quality is not the best on this image because it's been edited about three times for the post, but the actual invitations are crystal clear and fabulous! Once I know the time of the movie, I can finish these babies up and get them sent out! Remember, you can follow this process for printable quotes, cupcake wrappers and toppers, and more! I'm linking this up to Tatertots and Jello (Link Party Palooza) and some of these parties- come check them out with me! Brilliant! I would have never thought to use my Cameo to make printables! Thanks so much for sharing. I'm pinning this!!! Thank you for a nice tutorial. But I don't understand why you take that extra step for printing when you can print directly from Design Edition of Silhouette Studio. I always do that. and I save to my library if need be. actually I am going to download the cutepdf and try that way to compare the print outs. I loved this tutorial! I tried it and ran into a slight problem.. 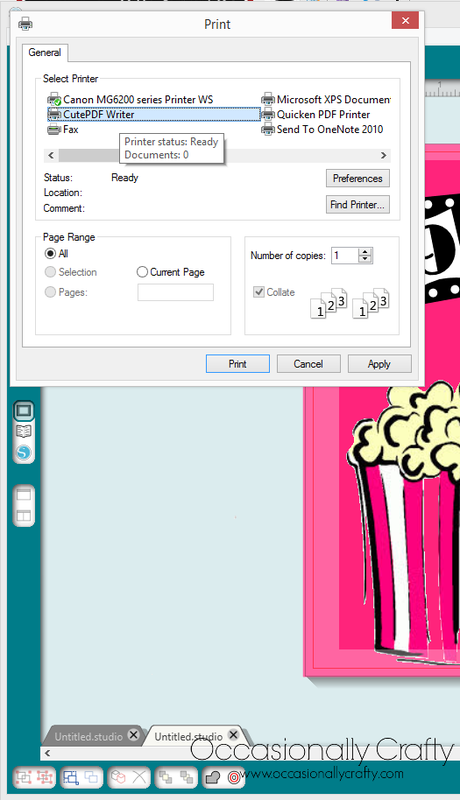 I did set a "page size" .. 5 X 7.. but when i went to save it, it saved more than just the 5X7 portion i had set it too. Do you know of a way to fix this? Hmmm, I will have to check on that and get back to you. Stay tuned! Okay, one work-around I found is you zoom in to Studio, then print screen. 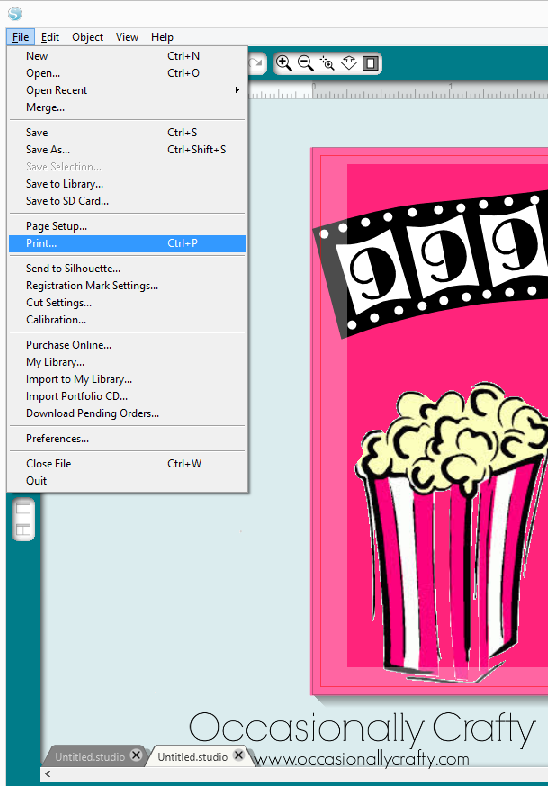 Open the print screen in Paint, then crop the photo so only your 5x7 is selected. Then save as a .jpg Let me know if that works! Fabulous! Thanks so much for sharing! Would this work with the new Cricut EXPLORE? I don't know- I'm a Silhouette gal so am not familiar with Cricut's new products. I bet there is a similar way to do this, though. Good luck! This is great info! I don't have a Silhouette...I have a Pazzles. I think the software is similar and I will be looking into whether I can do this with what I have!! Thanks for the great info. Are there any copyright issues when selling commercially using Silhouette designs? If it's your own creation with fonts/images you own a commercial license for, then no. If you're using shapes or fonts from the Silhouette store then yes, you would need to purchase a commercial license for them before you sell your designs. is it possible to create this then email it as a pdf to be printed elsewhere? I do not have a printer at home but I do have access in my apartment office and at work, but do not have the capability to pair with those printers directly from my computer. So would it still work if I emailed it to myself as an attachment? Definitely! As long as it is in a format that you can open on both computers it should work. Thanks for stopping by! Fabric choice for my window treatments!